Roller banners are a simple and cost-effective way of standing out from the crowd at exhibitions, or promoting your services and products directly on the shop floor. They’re small so immensely portable and can be easily changed to suit your promotional needs. 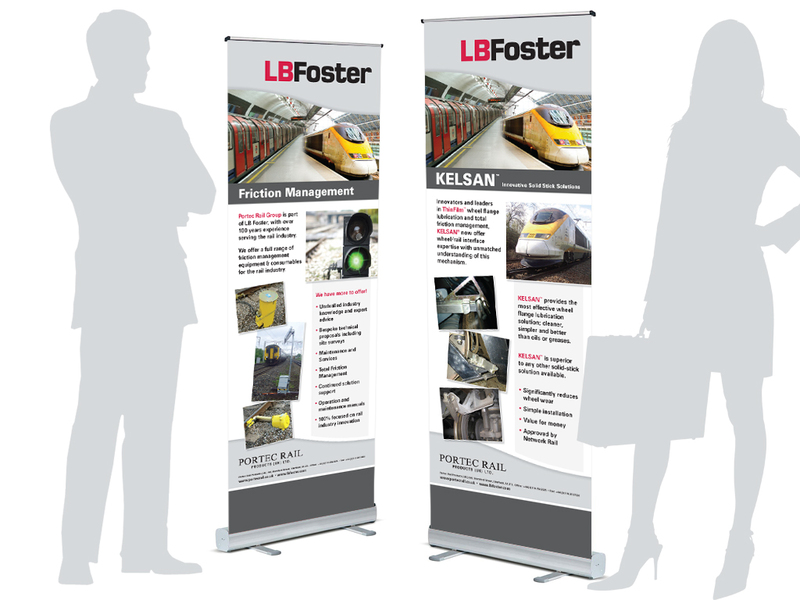 Here are an eye-catching duo of roller banner designs which we created for Portec Rail, part of the LB Foster group. Time was short so our designers had to quickly come up with these two designs within time and I’m also pleased to say, within budget. We paid close attention to the client’s existing branding style and ensured that we kept our designs inline with them. 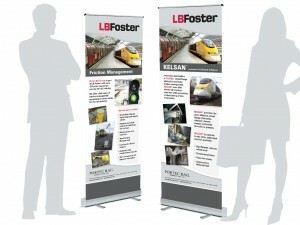 Ask us how we can create effective POS displays for your next exhibition or store display.